I would consider being the Troop Chaplain. After some prayer I accepted. Nearly 20 years later I still find a Scout Chapel service at Camp Tuscarora well, like another great Scout leader said, "You can get as close to God here as you can anywhere". 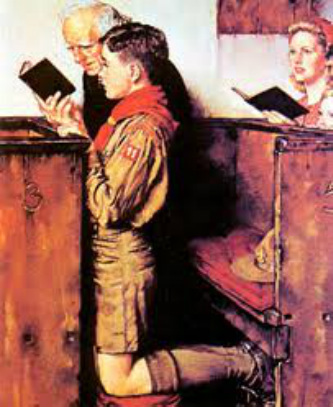 May God bless my journey as a Boy Scout Chaplain! 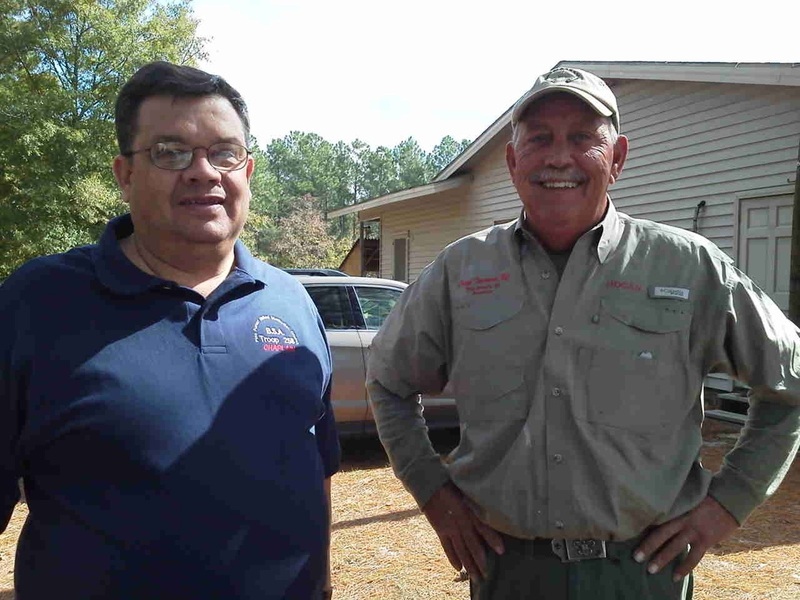 Here I am with Mr. Tom Yarboro, He has been a great support for myself and Scouting. I asked him for his current Title and have it listed as he stated. Here I am with Mr. Frank, on the left and Mr. Greg on the right. 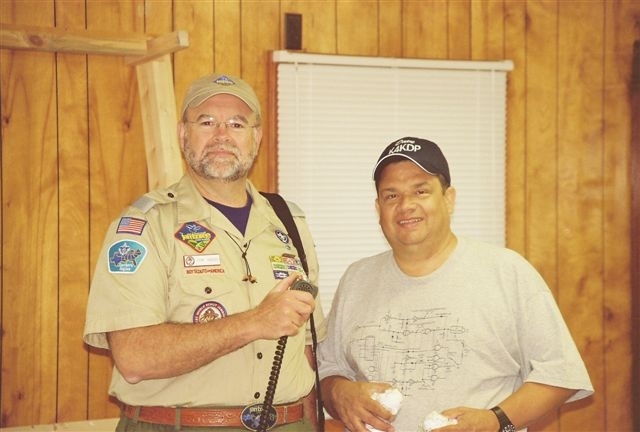 Mr. Greg and I have been in Troop 258 several years. Mr. Frank is much to good of a friend to try and explain, Ms. Marilyn his wife is one of the Scout Moms that I grew to love so much. Marilyn, Julie, Brenda and Rhonda served Hot Chocolate at our events and became known as the "Hot Chocolate Hotties". Ms. Marilyn is now serving Hot Chocolate in Heaven. Mr. Hogan is a great person. His abilities to transform Camp Tuscarora from a simple camp to a place the boys and adults cherish is amazing. As a Chaplain, I have seen Mr. Hogan work on hundreds of things with thousands of hours that most people do not know of. That along with his "normal" week. Mr. Hogan just might be the person on the left hand of God in Heaven. Click on the picture to read the verse Matthew 20:23 in the Bible.